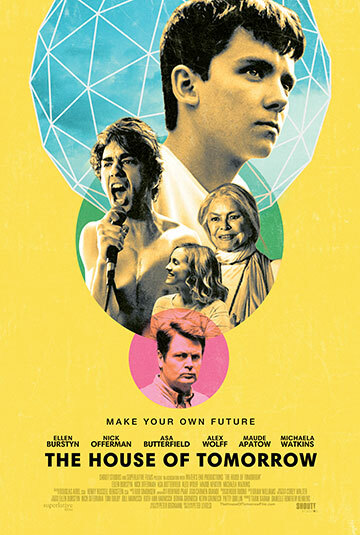 16 year old Sebastian Prendergast has spent most of his life with his Nana in their geodesic dome home tourist attraction where she raises him on the futurist teachings of her former mentor Buckminster Fuller in hopes that one day Sebastian will carry Fuller’s torch and make the world a better place. But when a stroke sidelines Nana, Sebastian begins sneaking around with Jared, a chain-smoking, punk-obsessed 16 year old with a heart transplant who lives in the suburbs with his bible-thumping single father Alan and teenage sister Meredith. Sebastian and Jared form a band and with his Nana’s dreams, his first real friendship, and a church talent show at stake, Sebastian must decide if he wants to become the next Buckminster Fuller, the next Sid Vicious, or something else entirely.